Last night at the online ceremony, Kenes Group won in two categories and finished as runners-up in another two, including Best Agency. Three of the five Kenes Group finalists ended up in third place. The 1st PANLAR-ACCAR Course, organised by Kenes Group, won first place in both Best Association Meeting and Best Medical Congress. 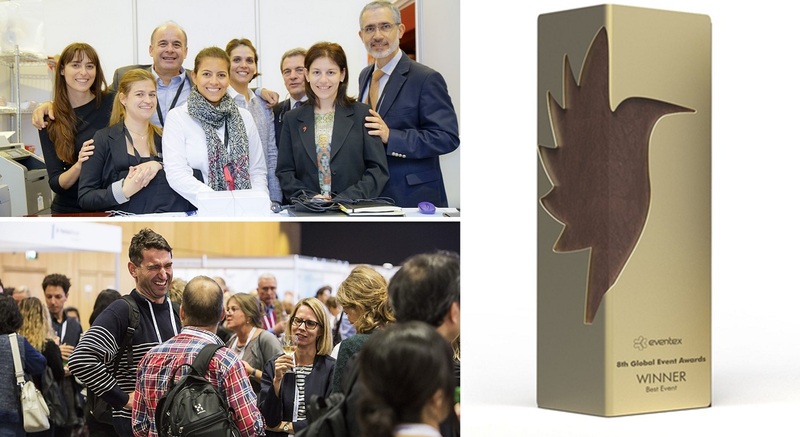 The Meeting of the European Society for Immunodeficiencies (ESID 2017), was announced runner-up in the Best Scientific Congress category and won third place in Best Educational Event. Two of Kenes Group’s Original Events, life science conferences initiated by the company, finished third in the categories Best Medical Congress and Best Scientific Congress. The 10th International Conference on Advanced Technologies & Treatments for Diabetes (ATTD 2017), a finalist in the category Best Medical Congress, is one of the established Kenes Group brands. In 2018 the conference had a record attendance of almost 3,000 delegates. Similarly, the 4th International Conference on Nutrition and Growth (N&G 2017), got third place in Best Scientific Congress, and again the next edition saw a 43% growth in delegate numbers. Over the past 7 years, Eventex Awards have grown into possibly the most coveted and recognisable awards in the world of events. The accolade is awarded to event professionals, meeting planners, promoters and live communication professionals across the globe for their accomplishments in producing cutting-edge event experiences. Eventex Awards is more than a competition recognising excellence in the field of events. Through the years, the awards have become an industry showcase of the best practices, the most original ideas, and the top innovations of today.